In this April 9, 2018, file photo, Sen. Elizabeth Warren, D-Mass., speaks during a program announcing the partnership between the U.S. Army Research Laboratory and Northeastern University at the George J. Kostas Research Institute for Homeland Security in Burlington, Mass. Yarmouth and Dudley police chiefs are publicly reacting to U.S. Senator Elizabeth Warren's remarks referring to the criminal justice system as racist from, "front to back." Warren was speaking to a historically black college about the criminal justice system's failure, which included disproportionately arresting African-Americans for petty drug possessions, the public defender system, and state laws that keep felons from voting after they've completed their sentences. During a question and answer segment, the potential Democratic presidential candidate was quoted as saying: "The hard truth about our criminal justice system: It's racist ... I mean from front to back." The statement didn't sit well with both Yarmouth Police Chief Frank G. Frederickson and Dudley Police Chief Steven J. Wojnar, who is the President of the Massachusetts Chief of Police Association. "This statement is an insult to the hard-working men and women of the Yarmouth Police Department as well as other Local, State and Federal Law Enforcement Agencies who are part of the criminal justice system," wrote Frederickson on the department's Facebook page. "Additionally there are many District Attorneys, Judges, Probation Officers, Parole Officers and other parts of the system that she slapped in the face." Frederickson continued: "It is more bothersome that a short time ago Sen. Warren made some efforts to pay respects to Sgt. Sean Gannon and Sgt. Michael Chesna who lost their lives while protecting us all. Sen. Warren's recent statement tarnished us all and dimished the sincerity of her condolence efforts. I now cannot trust her actions or words are real. I have a lot of respect for those who serve in elected positions even though we may disagree at times, however statements like this are disrespectful and divisive. In spite of what Sen. Warren said, the Yarmouth Police Department will continue to serve ALL people with dignity and fairness." Wojnar sent a letter to Warren on Aug. 7 addressing similar concerns. "As a police chief in your home state of Massachusetts, as well as the statewide association representative, I am extremely troubled by this statement. Labeling the entire criminal justice profession as “racist” spreads false and damaging information about our members," Wojnar wrote in the letter. "We feel we do a very good job in Massachusetts of producing professional and community-oriented police officers. These men and women, from a variety of backgrounds, provide dedicated service to their respective communities under difficult and highly scrutinized circumstances each day." 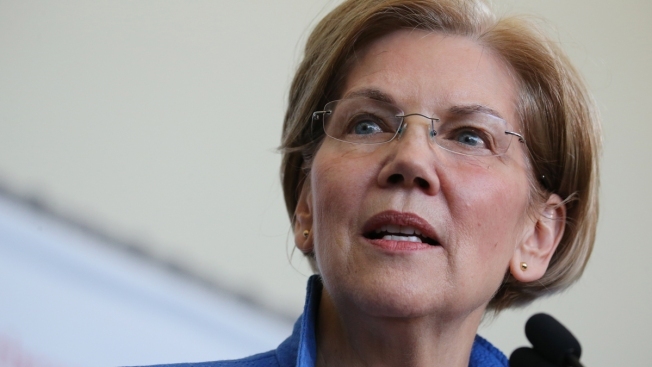 Warren responded to the comments made by the police chiefs on Friday, noting that she wasn't targeting specific individuals, but the system as a whole. "I appreciate Chief Frederickson's thoughtful comments," Warren said in a statement on Friday night. "The men and women in law enforcement work in incredibly dangerous situations. We honor those in uniform who put their lives on the line every day and those who have been killed in the line of duty to keep the rest of us safe. I spoke about an entire system - not individuals - and will continue to work on reforms to make the criminal justice system fairer." Warren and Frederickson spoke by phone on Saturday morning as well, according to a Warren spokesperson.